December Update – The resurfacing continues at a good pace. It is continuing to the boundary of Solihull, which is Lincoln Road Bridge. As part of the Birmingham Cycle Revolution Funding, which aims is to encourage more people to cycle, the upgrade of the towpath into Birmingham City Centre continues. It is soon to reach Acocks Green. Therefore the towpath from Yardley Road bridge to the corner of Oak Meadow will be closed to cyclists (and possibly pedestrians) from 16th November to 24th December, whilst the work takes place. Fortunately, at the junction with Oak Meadow there is the alternative path that runs alongside the allotments and the Yardley Cemetery, and so hopefully the work won’t be too much of an inconvenience for those cyclists and walkers that use the towpath. Any more information that anyone has on the towpath work would be appreciated. 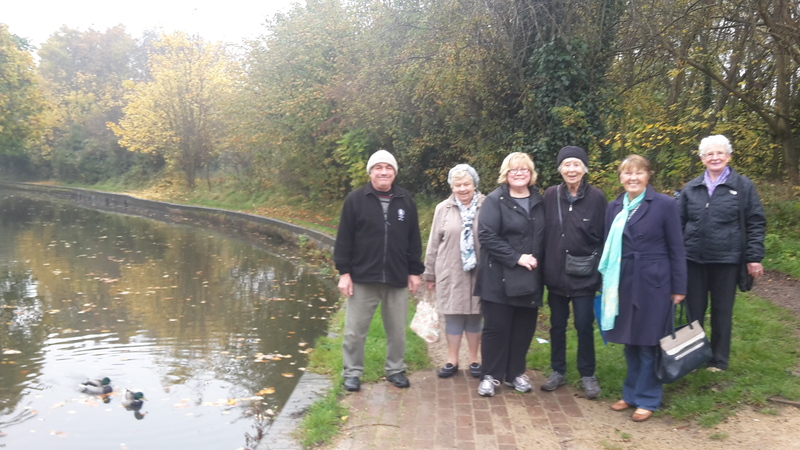 This entry was posted in News, places on interest and tagged Acocks Green, Birmingham Cycle Revolution, Canals and Rivers Trust, Cottesbrooke Walking Group, cycling, Grand Union Canal, towpath. Bookmark the permalink. I hope that the improvements to the tow path will lead to improvements in the behaviour of cyclists towards pedestrians.